You may have acne and pimples that are caused by different factors such as diet, stress, infection, liver problems and so on. To get rid of acne and enhance your skin health, you have to know the cause of your acne and improve it. 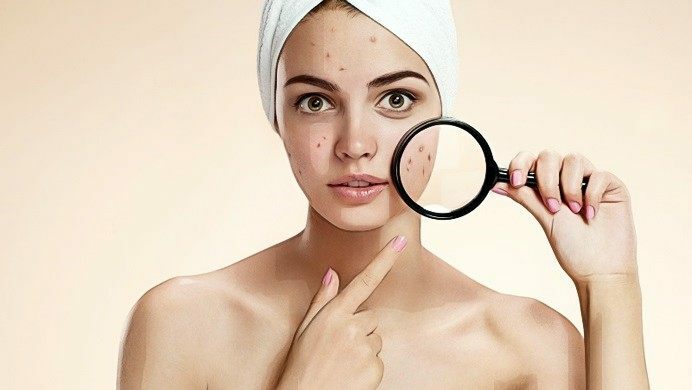 In this article on VKool site, I am going to show you more details about simple but effective ways on how to prevent acne on face naturally. Though you don’t often have acne, it is important for you to wash face twice a day. Washing face helps remove excess oil from skin, dead skin cells and impurities. However, washing more than twice a day is not really good as it can cause more irritation on your skin, especially when you use harsh soap. Also, avoid scrubbing the skin hard and harshly with exfoliating glove, washcloth and coarse textured sponge. Simply wash your face with a clean soft cloth or with clean hands, then dry the face ith a towel. Next to ways on how to prevent acne on face naturally, avoid wearing blush, powder and foundation. If you wear makeup, remember to wash it off before going to sleep. Choose oil-free products without added chemicals and dyes. Choose makeup, which is labeled as non-comedogenic. This means you will lower the risk of getting acne with cosmetic products. Also, check out ingredients of comestics on the product label before you want to buy one. Besides, avoid using pomades, fragrances, oils and gels on your hair. As they can get on the face, block the skin pores and irritate the skin. When you wash your hair, opt for gentle natural shampoos and hair conditioners. If you have oily hair, this can add to extra oil on your face. So, you need to wash your hair more often, especially when you are breaking out. If you have long hair, keep your hair pulled away far from your face. Ice cubes are not only help you cool out when drinking but they are also used to apply on face for preventing acne. If you have never tried it before, do it today and notice your brighter skin and toned face without pimples, excess oil, dirt and large skin pores. As the way ice cubes work., it can help freeze your skin pores, remove dirt and oil that are trapped in the skin pore. Hence, ice cubes help smoothen your skin and reduce swelling. Next to simple way on how to prevent acne, this is moisturization. Remember to moisturize your facial skin even you have oily skin. Why? As you have to use face wash to clean your skin daily. Using comercial skin care products for a long time will make your skin become damages. By moisturizing your skin, especially before the bedtime will help minimize dryness on skin as well as skin peeling for weakness. Moreover, if you have acne, you have to use acne-preventing products. They are stronger than normal products, so you need to care for your facial skin more carefully. Consider using some products that are lightweight, oil-free, gel-based, non-comdogenic and water-based. The sun's harmful rays can cause your skin readness, skin weakness and inflammation. As a result, this is a good enviroment for bacteria and skin disorders to develop. Some medications for acne may make the skin more sensitive to the sunlight. For this reason, limit exposing in the sun, especially from 10 a.m. to 2 p.m.. when going out, remember to wear protective clothing, broad-brimmed hat, pants, or a long-sleeved shirt. Whether you go out, apply sunscreen with the SPF level from 30 or higher and repeat at least 20 minutes. Look for the non-comedogenic ingredients on sunscreen labels that do not harm your facial skin and prevent acne. When it comes to simple ways on how to prevent acne on face naturally, remember to keep your hands off the face. Because your hands may have bacteria, so when you touch your face, you will spread the bacteria causing acne. Also, avoid popping or picking your pimples with the fingers as this can lead to scarring and more serious infection to other face skin areas. Instead, use a skin peeling paper to remove your dead skin cells and tiny pimples for improving your condition. On the other hand, you can use face soap to clean your skin. Never touch your face with oily, sweating hands or dirty hands. In addition, don’t rest your cheeks and chin on the hands and dirty surfaces since they can cause bacteria and infections to spread. By having a good hygience routine, especially caring for your face from makeup chemicals, grime, dust, and dirt. Also, cleaning the face helps you remove dead skin cells and free from contaminants aggravating the pimples development. Don’t forget to use a skin toner after you cleaned your face. Avoid harsh face washes that destroy your skin balance. Check the product ingredient labels for tea tree oil, turmeric, honey, salicylic acid, as these ingredients can help eliminate pimples and acne. Many brands such as Aroma Magic, Himalaya, Cetaphil, Clean & Clear and Neutrogena are famous for skin washes for acne. Next to a simple but effective way on how to prevent acne, this is washing your towels and pillow cover. As you know, your face can get infected by bacteria from the things it touches like your hands, towels and pillow cover. Remember to wash your towels daily, rub your face with a clean towel. Also, sleep with clean pillow cover. Remember to change your clean pillow cover every week and month for preventing acne effectively. As i mentioned above, you should consider using non-comedogenic skin care and beauty products as they don’t block skin pores, they allow your skin to “breath”. Hence, it helps reduce skin inflammation, skin infections, acne and irritation. Besides, opt for fragrance-free skin care products for your face. With a half hour of daily exercise, you can enhance your overall health and your skin health. It is said that a daily exercise routine can keep your hormone levels being balanced and release toxins throughout sweat on skin. 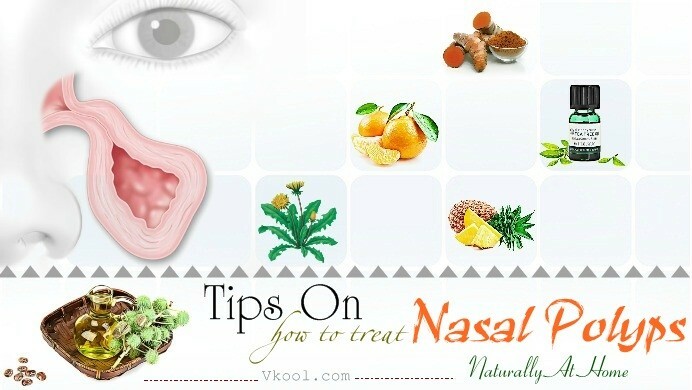 Thus, it helps reduce chances of pimple and ace development. In addition, sleep quality shouldn’t be ignored. Beside hygience routine, exercise, you should pay attention to your diet. Reduce sugar, dairy products and carbohydrates. Add more fruits and vegetables in your diet. Drink more water to stay hydrated as well as flush waste and toxins out of the body. Don’t forget some powerful nutrients and supplents among natural ways on how to prevent acne on face naturally. Here are top important nutrients, botanical medicines and supplements that aid in treating and preventing acne. Play a great role in protecting skin against free-radical damage. Supplementing with about 3 grams of vitamin C, 600 I.U. of vitamin E and about 200 micrograms of selenium daily to normalize your glutathione peroxidase that is decreased in men with acne. Is used as a great anti-acne nutrient. A high dose of about 25,000 IU per day of vitamin A is recommended for a short period of time until acne is controlled. This is not a cure for pregnant women or those considering getting pregnant as vitamin A may be toxic to the fetus. Can assist with premenstrual pimples and acne. Botanical medicines are also used to prevent premenstrual acne. May help in reducing skin inflammation and improving wound healing and immunity. 100 milligrams of daily zinc intake for a few months is still recommended. Besides, essential fatty acids like borage oil, flaxseed oil and evening primrose oil can be combined with zinc to prevent the development of clogged pores; yet, some patients with fat and acne can trigger the aggravation of symptoms. May be considered to treat and prevent acne. Astringent herbs such as witch hazel and chamomile may also be used to clean skin toically. For instance, you can apply chamomile tea bags on your face or use a cotton ball to apply chamomile tea water on skin for cleaning face and preventing acne naturally and effectively. Among natural ways on how to prevent acne, try applying orange juice. Use a cotton swab to apply orange juice on face as a home remedy to prevent pimples and acne. Leave it there for 20 minutes, then rinse it off with lukewarm water. Alternatively, you can apply the orange juice on the affected skin area and let it sit there overnight and wash off in the next morning. Ensure that the orange juice is fresh and without containing any preservatives that agravatee rashes on your skin. On the other hand, you can make use of dried ground orange peels to prevent acne. Simply mix the dried ground orange peel powder with a little water to have a thick paste. Then, apply this paste on your skin. Gently rub it and cleanse your face. You can do it once or twice a week for preventing acne and pimples. Thanks for reading the entire article. For any comment about this writing on how to prevent acne on face naturally, please show it at the end of the post!